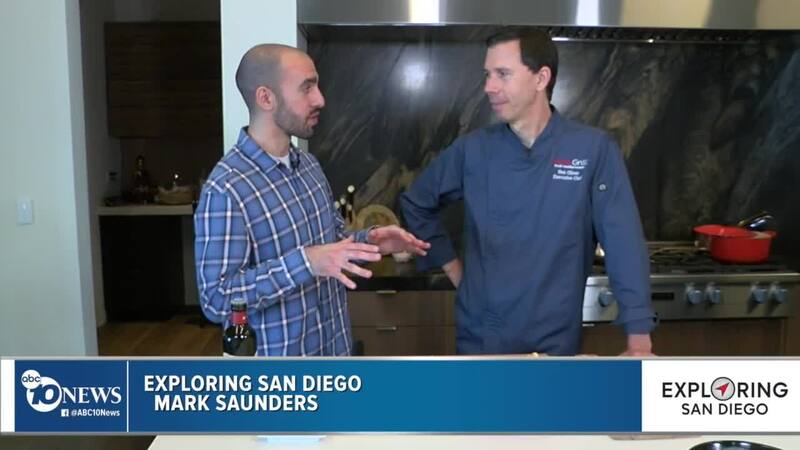 Our friends at Luna Grill showed us how to cook up one of those dishes at home: Baba Ganoush. (KGTV) — February is Heart Health Month, which means it's the perfect opportunity to take a step back and examine your diet. Among one of the healthiest diets for the heart is the Mediterranean diet, filled with healthy fats and oils in a variety of delicious dishes. STEPS: Roast the eggplant in a 400-degree oven until very soft and the skin has become lightly charred. If the eggplant is soft and the skin not yet charred, you may place them directly over a gas flame on the stove to lightly char the skin. Allow eggplants to cool. When cool enough to handle, slice in half lengthwise and scoop out the flesh. Transfer the flesh to a cutting board. Chop with a knife until the consistency of a very coarse dip. Drizzle the tahini, lemon juice, salt and pepper onto the eggplant. Fold these ingredients into the dip. The eggplant should thicken from the tahini and hold it’s shape. Transfer to a serving dish. Flatten with the back of a spoon. Drizzle generously with olive oil. Sprinkle chopped parsley over the top. Serve with the toasted pita bread.